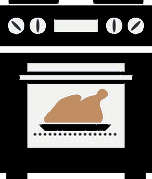 Remove the bird from the fridge; leave it to stand at room temperature for at least 2 hours before cooking, this is very important for the meat to relax before going into a hot oven. Place the turkey, breast down, in a roasting tin and season the back of the bird as you wish. Most of the fat deposits are on the back of the bird which will percolate through the breast allowing the turkey to cook in its own juices. Don’t worry about the black pin feathers on the back of the bird, they won’t harm in any way and when cooked they virtually disappear. Place a large peeled onion/lemon in the cavity for extra flavour. 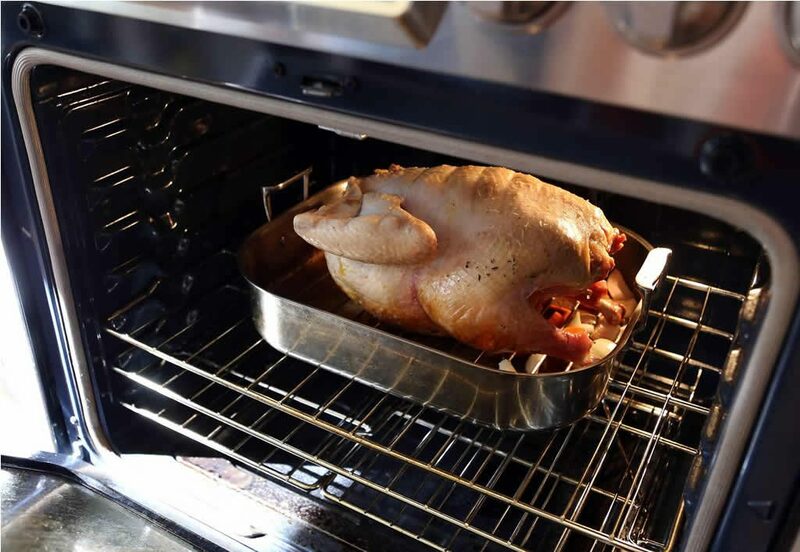 We do not recommend stuffing the bird but to cook it separately, when you stuff a bird it will prolong the cooking time and the legs cook too quickly and dry out. 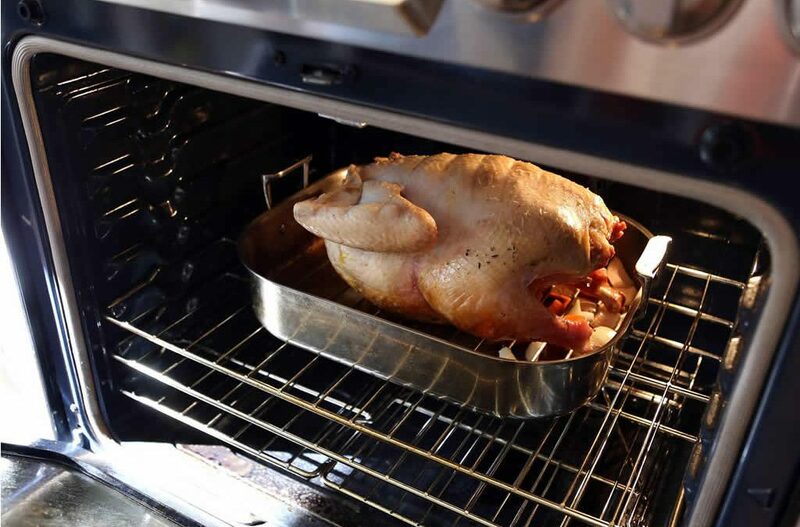 Pre-heat the oven to 170ºC (gas mark 4) before putting the turkey in the oven. Turn the turkey over (to brown the breast) 30 minutes before the end of cooking time. This is easily done by holding the end of the drumsticks with oven gloves (be careful of hot fat). Season the breast of the bird with seasoning of your choice and then insert a skewer halfway through the thickest part of the breast, and then check the thigh, if the juices are pink, place back in the oven and keep checking at 10 minute intervals until the juices run clear and remove from oven. Allow to stand for around 60 to 90 minutes before carving. The stock that is produced from an Old Castle Farm Free Range Bronze Turkey is truly the best. Please do not ruin it with gravy granules etc. Simply skim the excess fat from the top of the stock and then scrape all the delicious crispy bits off the bottom of the roasting tin, thicken if necessary and re-heat, then carve the meat and serve. * Without tinfoil and with no stuffing!